Daily routine is hectic because of the college timings. Its from 10 AM to 5 PM. Method as well as quality of teaching is good. Overall experience is great amd its fun experience. This is one of the best colleges in Pune. The teaching is very good. 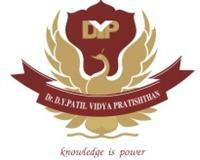 Dr DY Patil Vidya Pratishthan Society's Padmashree Dr. D. Y. Patil College of Education aims to achieve quality in education, create new Frontiers of knowledge, utilize Human Capital and shall become a centre of excellence. It also aim is to cultivate the youth with active and creative minds to develop sense of responsibility, compassion and courage to establish values that will enable them to act with thoughtfulness and humanity. The institution emphasizes on the total development of personality: spiritual, moral, intellectual, emotional and physical and are dedicated to provide rigorous academic activity along with discovering innate potential and grooming them. They seek do develop the ability and passion to work honestly, creatively and efficiently for making our planet a better place to live. In order to create a just society, we shall endeavour to achieve quality in education, create new Frontiers of knowledge, utilize Human Capital and shall become a centre of excellence. Our aim is to cultivate the youth with active and creative minds to develop a sense of responsibility , compassion and courage to establish values that will enable them to act with thoughtfulness and humanity. We emphasize the total development of personality: spiritual, moral, intellectual, emotional and physical. We are dedicated to provide rigorous academic activity along with discovering innate potential and grooming them. We seek do develop the ability and passion to work honestly, creatively and efficiently for making our planet a better place to live. Today’s netizens are very well satisfied as The College computer Lab is well equipped with 20 Computers and 1 Printer. Students do the practical work ( T.I.L.). and become efficient to face the challenges of ever changing high tech world. The Science Laboratory is available with multiple sets of science apparatus. Teacher students can use these apparatus to demonstrate the Experiments prescribed in the syllabus of Secondary Classes. The college provides various State and Government Scholarships.